The cool weather is my favorite. Not freezing cold weather, cool weather. The kind of weather that you can wear a sweater and some crop pants or a light jacket and a scarf or shawl or cowl. I think I could spend most of my life in that kind of weather. Swapping back and forth between spring and fall. The beauty of life popping up after months of cold and dark colors is inspiring. And then watching those colors change once again to every color of red and orange and yellow makes you want to cuddle up and get cozy. Okay now that I have rambled about the beauty of the weather, it's time to introduce you to my new pattern. 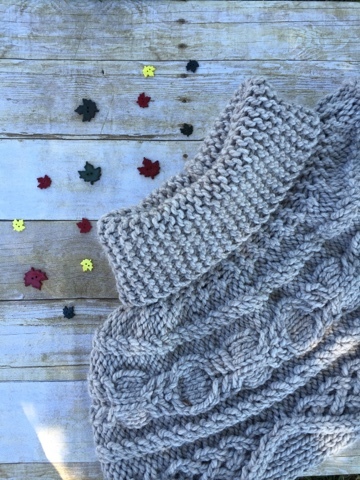 The pattern is called the 92 Wonder Cowl It has some beautiful cable details and will add style to any outfit. It is made with super bulky yarn and is full of warm and comfort. 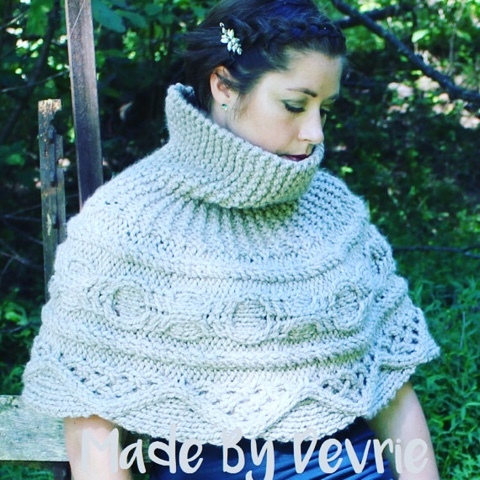 The pattern is very flexible to size so you can knit it to be the perfect size for you. Weather you are making it for a child or adult, everyone will love the comfort and style this cowl brings. Check out this pattern in any one of my shops and you can now join my Ravelry group Made By Devrie. We discuss knitting technique, ask questions, and you get updates on my new patterns.